Julio Medina, Economist and Financial Analyst, leads the Gold Rate Americas precious metal and currency exchange data validation testing, analysis and market research portfolio. With more than 10 years working within finance and administration, Medina is experienced in financial and economic report preparation, audit and staff management. 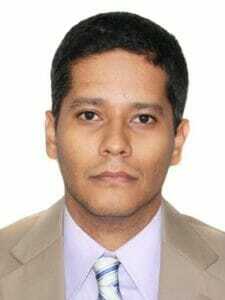 He began his career as Budget Analyst at Corporación Eléctrica Nacional (Corpoelec), a position that he held for five years, before progressing to Financial Evaluation and Business Consultancy Supervisor. In 2013, Medina joined Alejandro de Humboldt University as Professor of Macroeconomics and Economic Integration, where he taught economic integration and macroeconomics to both undergraduate and postgraduate students for three years, alongside his fast-paced role at Corpoelec. Medina has a Bachelor of Business Administration (B.B.A) in Economics from Universidad Central de Venezuela.